According to a Huffington Post report, nearly 20 percent of participating Hope Scholarship schools have policies regarding a student’s hairstyle. WUSF's Cathy Carter speaks with Huffington Post reporter Rebecca Klein. A recent story on the Huffington Post website revealed that some Florida private schools have discriminatory policies despite accepting students with publically-funded school vouchers. When reporter Rebecca Klein was writing a piece about Florida’s new Hope Scholarship, she found that a percentage of private schools that participate in the scholarship program have strict hair policies that could be seen as having racial undertones. The story included an embedded video that has since gone viral of a young boy being turned away from a school in Apopka because he sported dreadlocks. Klein also reported that a number of schools participating in the Hope Scholarship program have policies that exclude LGBTQ students. Klein said she reached out to the Florida Department of Education for comment. After Klein’s story was published, the NAACP Legal Defense Fund reached out to the Department of Education. 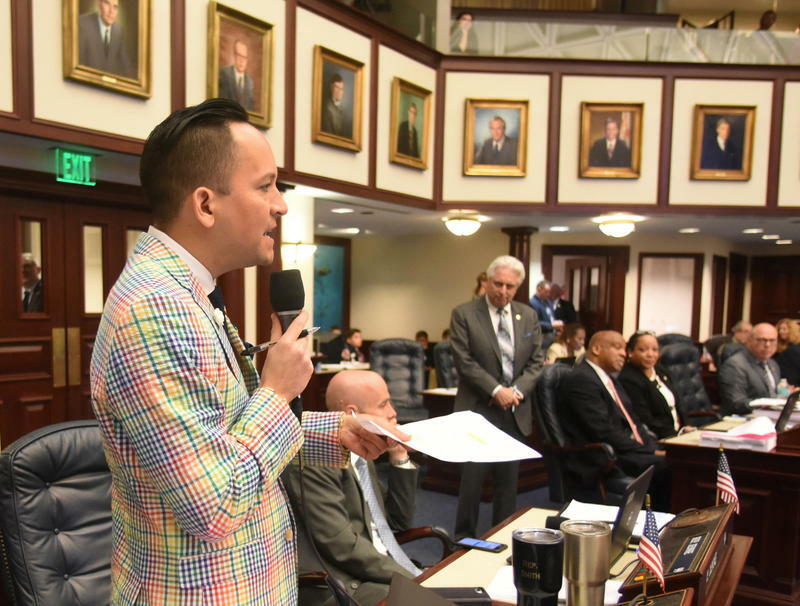 State Representative Carlos Guillermo Smith of Orlando argues a new anti-bullying scholarship fails to protect LGBTQ victims.